▷ Airis T920 update. Speedcam for your maps. Download update. Free custom download. 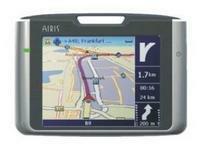 In order to update your GPS device: Airis T920 with the latest update, follow next instructions. First of all, be sure you got the update file for your Airis T920 device, downloaded from SpeedcamUpdates.com. Extract your memory card from your Airis T920 device. Insert that card in your PC or connect your mobile device thru an USB cable. Once you've got access to the storage drive, copy all extracted files before into the folder named POIS. Disconnect your Airis T920 device, or insert again the memory card. Run your GPS software and go to the option "Main menu/Custom POI/POI alerts" in order to enable new speedcam.